Early one cold November morning in the run-down seaside resort of Whitley Bay, the body of a young girl is discovered. Found abandoned five minutes walk from her home, her face has been mutilated beyond recognition. DI Jack Brady, just back on active duty after recovering from a vicious shooting incident, is on the edge. Struggling to deal with his marriage break-up and his tortured past, his problems intensify when long-standing friend and colleague DI James Matthews confidentially reveals that he was with the victim the night of her murder. 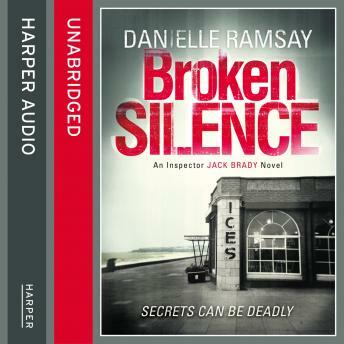 Brady's loyal deputy, the clean-cut, Detective Sergeant Harry Conrad and the attractive and highly-respected police psychologist, Dr Amelia Jenkins are assigned with Brady to solve the victim's murder. But the investigation becomes increasingly compromised as Brady realises that Matthews is holding something back from him that could be vital to the case. As Brady delves ever deeper into Sophie's life, he comes to realise that the three men who should have protected her during her short life are the chief suspects in her murder: her teacher, her step-father and a police detective. Brady finds himself unravelling a metaphorical thread that eventually makes him re-evaluate not only the seemingly blameless life of the victim, but more disturbingly, Matthews's motivation and ultimately his own.